Marine Corps enlisted and officer training is to be fully gender integrated with gender-neutral occupational titles. Same with the Navy, which will no longer have "corpsmen" but, presumably, "corpspersons." All restrictions on homosexuals and transsexuals serving openly are to be lifted. Don't Ask, Don't Tell has been officially replaced with Never Shut Up. This will probably have less impact on US tactical capability than we think. The Special Forces and mercenary companies will continue to be mostly lean, mean white males as the regular forces become a gay, female pageant. Presumably, even the Bolsheviks know that you still need hard men with problematic attitudes around if you need to kill people and break things. The Left continues its rampage through the institutions. Being the Left, of course, they never stop until somebody or until circumstances stop them. And, to mount a particular hobby horse, ideological conservatism simply lacks the tools to oppose the Long March. I can hear the dialectic already: "How can you POSSIBLY deny opportunities for advancement to this brave homosexual/transgendered/female veteran? HAVE YOU NO SHAME SIR?" The conservative--the espouser of meritocracy, equality before the law, and support for the politically popular military--can only gulp back his words and cast desperately for another line to draw in the sand. 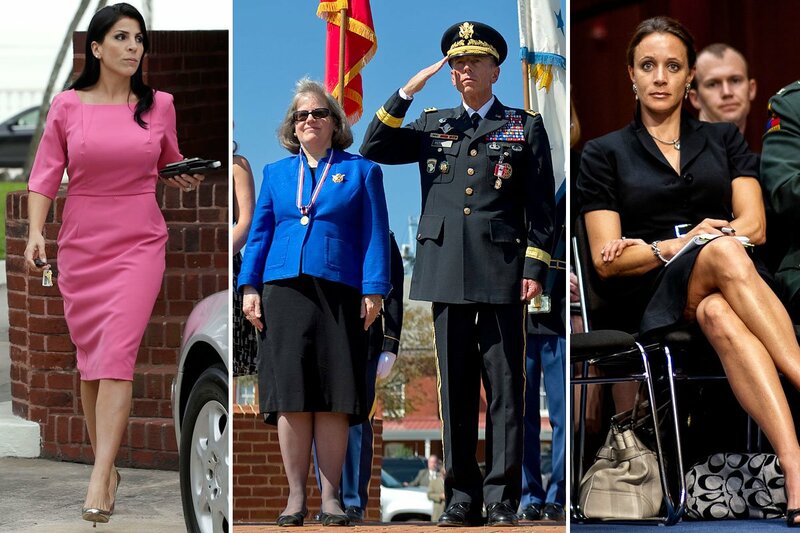 The military is of course an inherently masculine institution for which women are biologically and temperamentally unsuited, and the introduction of sexual marketplace dynamics into such a rigidly hierarchical organization is disastrous. But any general who raises these perfectly historical, realistic and grounded arguments will have his career ruined. The Right is hoisted on its own petard. If indeed all men are "created equal," then by God they are, and biological and social reality be damned. If we're a Proposition Nation, and a Propositional American says, "Give me your tired, your poor," then tired and poor we shall have. A dedication to conserving the existence and well-being of a discrete people in their geographic redoubt elides these ideological conundrums completely, but conservatives are trapped by their own universalist rhetoric. This is Whiggery's obedience to its inner logic: the overthrow of custom and natural order and the exultation of the self as the lodestar of the universe. With that comes, as surely it must, the state-imposed obliteration of objective truth as a hindrance to unlimited egotism. Washington will make you free, and so on and so forth. Every single tired poor immigrant gets admitted immediately, but ONLY to the north slope of Alaska, where they will serve a twenty-year term as citizen-trainee, and concurrently form the basis for our kamikaze Siberian Invasion Force. Sound Like A Deal? The Non-Tired, Non-Poor immigrants who come here equipped to contribute and acculturated enough to support liberty, republicanism, and Judeo-Christian Enlightenment, THEY can be admitted to the lower 49. "The Right is hoisted on its own petard... conservatives are trapped by their own universalist rhetoric." To such men, the Declaration of Independence and the Constitution are Holy Scripture. Incantations of "American Values" and "Constitutional Principles" are not rational arguments, but rather prayers or incantations seeking heavenly favor. They hate Trump and the Alt-Right for tempting the gods to wrath by uttering blasphemy. In real life, the Declaration of Independence was hurriedly dashed off by a busy Thomas Jefferson in just two weeks, mostly by copying haphazardly from dozens of other state-issued catalogues of grievance. His first draft desperately needed editing. It was never meant as Sacred Writ. Likewise, the "brilliantly-designed" US Constitution was never a particularly effective instrument of governance. Heavily-armed middle-class white people, with huge tracts of prime free-of-charge real estate, would have thrived under almost any non-Communist system. Add a land border with a major European power, though, and Madison's elegant construct would have lasted as long as a balloon in a trash compactor. America's only genuine existential crisis of the 19th century was the War Between the States- itself something the Constitution was supposed to have prevented in the first place. The Framers could have either beefed up the Articles of Confederation along the lines of the New Jersey Plan, creating a decentralized alliance of nearly-independent republics, or gone the other direction and installed an hereditary monarch as chief executive. What we got instead was a government with all the intrusive centralized powers of a monarchy, but with none of the future-orientation and long-term planning. America's founders were pretty amazing men, but they really were making it up as they went along. Of course their source material was some of the best ideas to come out of the Enlightenment but still, it's striking to see how much America was a creature of the particular men and circumstances of the time and place. "Well, in my mind we never said, " Give us ALL of them". But, if you must insist that Steel-Age noble poetry be taken LITERALLY these days, then here's my solution: "
Well, ultimately WE never said any of that. (((Emma Lazarus))) did. The Proposition Nation is a myth started by those who wished to have all the benefits of American society but none of the responsibilities. Of course the Founders meant that all men are created equal before God. 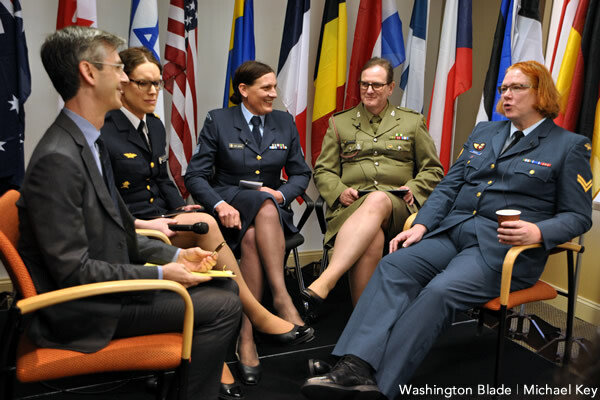 It is probably a good thing that the military are becoming more feminized for when they are turned on us. Although what they will lack in skill, strength, stamina and courage they will make up for in brutality and viciousness.